Catching your target fish is always a big adventure for the angler. Dreaming about the best fish to hold on your rode every angler should think that it is very essential to release the fish back to water in right way. Please, make sure that the fish is treated correctly before you let it go. It’s the question of morality and environment. You can hug yourself because others can be can be pleased and enjoy by the same carp or any other species. That is why special carp care kits and fish treatment accessories are extremely important items in your fishing equipment. 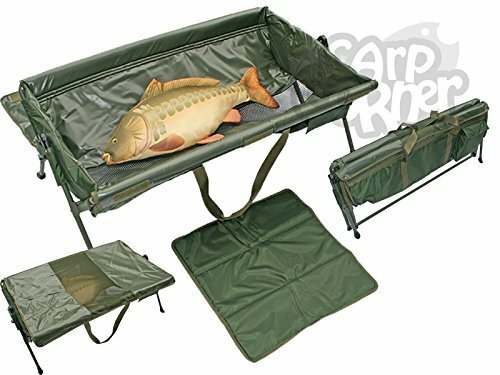 Landing nets, unhooking mats or cradles, keeping sacks, weighing slings and special medical disinfectors for proper fish treatment is an integral must have of any carping angler. We invite you to keep your attention on the best innovations among the goods which help the fish to have the least stressful time on the bank and look and feel good. 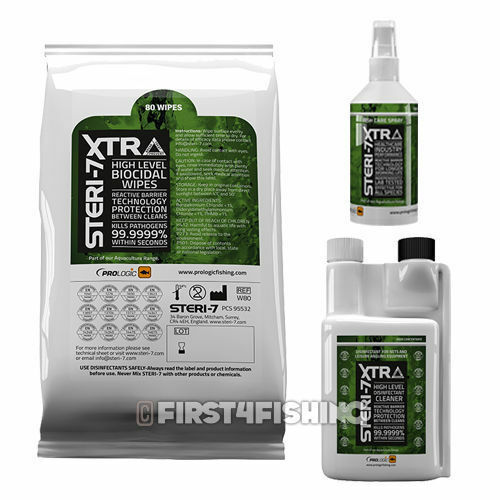 The huge range of fish care products are at the market now, that is why we decided to bring you some latest news from the sphere of carp treatment and explain the function of all these important special kits when you operate them during you angling. What is a carp care kit? As usual, these therapeutic sets include a container of liquid agents and some applicator buds, the towel to drain the wet can be added as well. For convenience, these items are collected in a suitable zipped bag. Mostly these medicated liquids are antiseptic and antibacterial agent dedicated separately to the mouth and body of species. Alternatively, it can be combined all in one. What is carp care equipment? What is the Carp Care Procedure? This recently offered All-in-One medicine for Carp protection was successfully worked out in the Koi industries. This renewed medical concentrate is the replacer of the previous two bottles package. The manufacturer invented a serum which combines antiseptic and antibacterial features for the mouth and body simultaneously. It proved amazing results treating cuts, hooks holes, or other injuries in the whole body of species. All-in-One includes the therapeutic ingredients which are used in a variety of healthcare goods for people. The liquid has the adhesive ability to cover properly the problematic places. It’s no need to wash it away after the application like some other antiseptics. It acts to fishes for five days which is good for the other species in waters. It is packed in a convenient plastic capped bottle. It’s safe for storage and transportation, easy to use and maintain. Product validity is ten years. There are only positive opinions from users. Their fishing tackles, gears and other products are technologically adjusted to meet the wishes of even strict anglers. They also invite everybody for cooperation and ready to discuss any unique or original ideas which will be useful for the fishing world. Nash Medi Carp Kit presented by Kevin Nash Group PLC is an essential carp first aid substance to be kept by all angles in their fishing arsenal. Medi Carp First Aid Kit is intended to care about different injuries, sores or any other damages caused by hooks, scales, cuts etc. This medicine affects prompt and effective carp recovering. It provides a good condition of fish when it comes back to water which makes possible to catch it again and again. After contacting water Medicarp strong antiseptic becomes a gluey gell. This helps to cover the injuries safety and prevent infection. It’s considered like the best antiseptic for carp realising. To my mind, Medicarp Ultra is very important for carp fishing, especially if you deal with catching and releasing. Just put a little bit of agent on your finger and rub it into the road of the mouth. Then leave it for about ten to twenty seconds. That liquid is solidified, healing over the wound and then the fish can swims off. Intensive Care has been developed in cooperation with the specialists from Lower Berryfield Fisheries. The agents are suitable to treat different injuries after hooks, lifting scales and other problems connected with fishing. Phenomenal formulation and antifungal and antibacterial components provide immediate seeping to the hurt places. It promptly decreases the infection which helps the fish to recover naturally. Accordingly, Intensive Care is perfect to avoid not only definite infections but recover the holds which are got after hooking and lifted scales but other opened sores. The manufacturer insists to salve even small damages. It’s the preventive measure that the fish will survive and will be healthy. 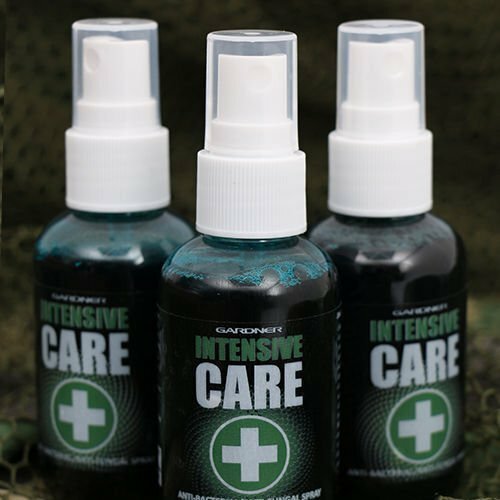 en Intensive Care liquid is packed in practical 60ml bottles. The application is absolutely simple and fast thanks to the pump cap with a spray atomizer. Before spraying it should be shaken properly. If the damages and cuts are not significant, sprinkle the medicine directly on injured places. If the there are deeper wounds and sores on the body, the places should be dry. So drain carefully the areas with bigger defects and only after that apply the spray directly to the damages. Right after the treating fishes can be released to water. It’s not required to keep them on the shores. To prevent the nozzle to be cluttered rinse and wipe them before closing the cup. Be careful: Take away the liquid ay from children and pets. Avoid swallowing the agent and its contact with eyes. The components of Intensive Care are active. The sains can be left the on skins and material after passing on it. The ingredients of Intensive care are specifically active but safe. Nevertheless, as fishes gills are very sensitive parts be sure never to spray exactly to them. More than three decades the family operating company has been producing the variety of perfect fishing tackles. Especially they are concentrated on carp fishing original and innovated goods. With all their enthusiasm they developed a range of high-quality devices namely for carp and nature care. 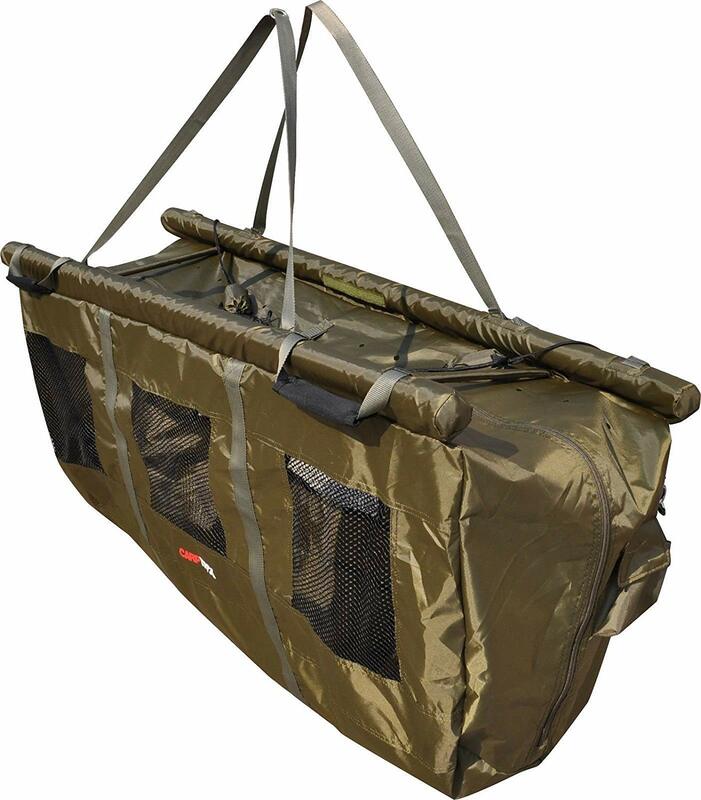 Besides Intensive Care sprays they offer multi species weight slings, different meshes and landing nets including arms, up to XL mats, outreach spreader block, etc. 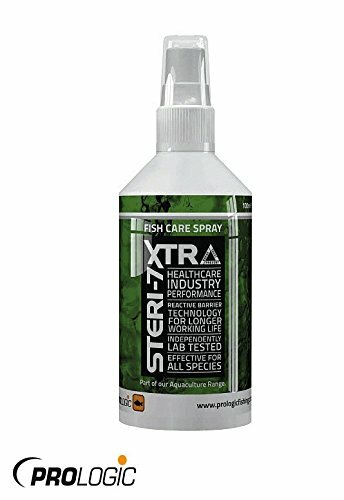 Steri-7 Xtra Fish Care Antiseptic Spray is manufactured, clinically tested and approved for treatment different beating of carps and other kinds during fishing and what not. It’s universal to apply to whole fish bodies and mouths. Its newly developed formula creates the barrier to dangerous viruses and bacterias. The usage of Steri-7 before the fish will be back to the water after unhooking and treatment prevent spreading of the infections of injuries and wounds and guarantees that the object will survive. Withing a very short time up to several second this spray ruins practically 100% of bacterias thanks to the RBT technology. It means Reactive Barrier Technology that provides the best care for carps and other species. The manufacturer is an expert in formulating and producing the wide range of up to date products for cleaning and disinfection purposes. All items presented at the market by the company are used in food, health care, agricultural and fish farming industries. The company is located in the United Kingdom and offers some other products outstanding for cleaning, hygiene, caring and infections neutralizing of aquaculture. Pay your attention to their other products. This disinfection concentrate is supplied in the bottles with a dispenser. It helps to measure the dosage required for different applications and accordingly required quantity. Because of a high level of concentration of treating ingredients the liquid can be dissolved by water to the necessary percentage. The field of usage is rather wide. You can remove unpleasant odour and manage anti-bacteria safety for a variety of things like nets, slings, bags, etc. The comfort and efficiency are the main features of these antiseptic wipes to sanitise and disinfect whatever you need. You can use it for hands, different surfaces and even cookware. For sure you are defended for dangerous diseases even guarded against it guards against Leptospirosis. 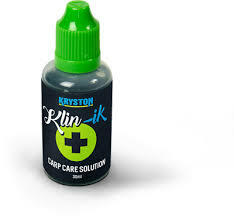 Klin-ik is high quality effectual liquid substance for carp care solutions. This product was formulated with a professional attitude in the laboratories of Kryston. The manufacturer guarantees that the medication is absolutely safe for living organisms environmentally friendly. This product is on the market for more than ten years. After recent updating, the liquid is in green colour. Klin-ik medical solution is free from malachite green, gentian violet and any aniline dyes. One bottle can be used to treat many fishes. Small quantity is required to apply per one time exactly on the areas with problems. No need to bathe carp in the solution. It’s no harmful for species but just wasting the material. The shelf life is long enough. It perfectly works up to several years but depends on storage. It is recommended to keep the bottle cooled in convenient places for you like fridge, garage etc. Klin-Ik is not only an antiseptic. Its formula contains an anti-parasiticide ingredient. This is a very important matter because fresh wounds and holes are the subjects to the fast growth of parasites. The liquid is absorbed quickly inside and the fish obtain the chance for rapid recovery. 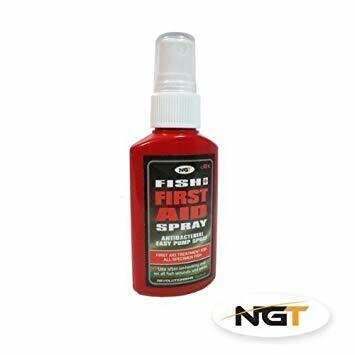 First Aid Spray for carp is an absolutely necessary item for caring fish especially if you prefer to catch, enjoy, take photos of your trophies and then release them to waters. The company Next Generation Tackle presents such as treating liquid species to medicate carps’ wounds after unhooking in one touch. This odourless therapeutical ingredient is packed in a hand-sized bottle equipped with a sprayer. They supply products selected with love for nature and experience in this activity. The preference of this product is a low price but great quality and efficiency. What size is the spray bottle? What are the active ingredients? Doesn’t say on the bottle. I use it for all the fishing trip. It comes in a clear 50ml bottle. The serum is purple in colour but it is surely no dangerous because it is food colouring. A very friendly price and currently mandatory at any fishing lake. Efficient for treating practically all fish hooking holes and hurts. Even works on me when I got a knife cut. Recently, according to the fishing rules, the angler should have a first aid kit for fish. This one is rather cheap and is lightweight which is super. Exactly right value, and perfect in practice. It’s recommended highly. The local inspectors press to have and use such care kits. I got this agent before and confirm that it.works good. It helpful for small personal wounds too. Amazing hand sized and inexpensive product. The other equipment required for carp care in water and banks depends on some factors like water location place, style of fishing, your experience and of course, your budget. Their roles and operations are detailed on the page below. To be a totally advanced angler we present some more absolutely necessary things for fishing without a problem. All of them are in one place on Amazon. Choosing the landing net carefully look at the quality and the material it’s made of. The nets with knots and poor flexibility are not acceptable as they can hurt the body and the defensive layer and scales when the fish get out the water. Nowadays, the most popular are the landing net manufactured from soft meshed fabric. They are designed with portable or removable arms which is convenient for transportation. Try to support the carp by turning the net following the fishe’s direction. For better safety always control the lifting process. This net is just the right size for landing big carp. 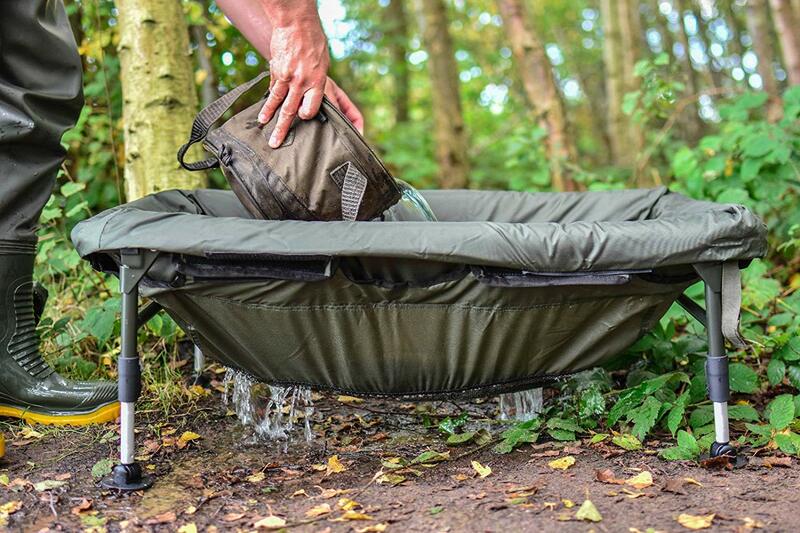 Unhooking Mat or carp cradle? These are two options which are extremely important for the unhooking process. Their main purpose is to prevent carp’s damages when you lifted it from the water. The market offers a number of mats in a variety of shapes, sizes and other features. Basically, the mat is the piece of flat material to keep the capture wet, distressed provided some additional security before you put it back to water after all required procedures. Very often the mats are padded. There are some models with extra flaps which create more comfort to the knees. All mats are easy to keep in the luggage and transport to the water place. Carp cradle is the other option for dealing with fish at the coast. The benefit of this device is the extra padded higher side which gives the comfort and safety to the capture. It is equipped with a collapsed aluminium frame and legs. Easily to carry and store. Some cradles are added by special covers which helps to calm the fish or use it like an undercover for your knees. Mesh bottom enable total water drain. They are easily cleaned. In spite the material of manufacturing is water-proofed and soft it’s strong. The bottom has rubber- meshed drainage. It’s crucial to have some extra water to wet the fish during unhooking on the bank. The water bucket is not an essential but highly helpful item for your fishing adventure and not only. It’s the benefit that all the parts are made from waterproof material. 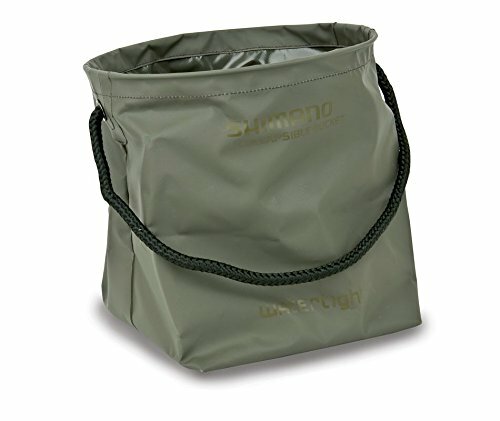 The bucket is convenient in storage and placing in your fishing backpack because it’s less than 2-in high when collapsed. The bucker is helpful for different fishing styles. Weigh SlingsIt’s crucial to have some extra water to wet the fish during unhooking on the bank. The water bucket is not an essential but highly helpful item for your fishing adventure and not only. It’s the benefit that all the parts are made from waterproof material. The bucket is convenient in storage and placing in your fishing backpack because it’s less than 2-in high when collapsed. 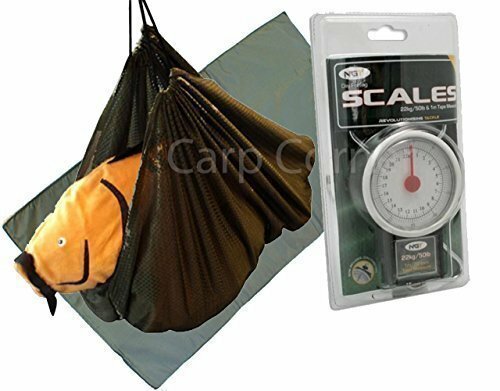 Helpful for different smaller and larger in sizes these slings help to manage with weighting. Soft, durable fabric makes the process easy and comfortable even for the largest species. The sling must be wetted at all times you are handling with the carp. Avoid putting a fish in a very hot and dry weigh sling. Sling system usually designed with zippers make it possible simply and safely locate the sling on the mat, then replace capture on it, close and weigh. It’s very crucial for each angler to know the mass of the captured fish. The right scale helps to know what is a personal record in fishing. Not obligatory but so preferable device in your sling back-packaging. Nowadays it’s not a problem to find this item to your taste. You can buy them either single or like a set with other equipment. They can be mechanical or digital in designing. The kit for carp coast treatment. It includes a big enough soft unhooking mat, sling and scale. Be sure to dunk the nets as you enter the lake to alleviate the spread of the disease between the lakes. Do not be too heavy with devices in your hands when you pulling the fish and play the carp on your line, you could rip the fishes’ mouth. Ensure that you correctly set the drag force of the reel and let the fish easily come into the net by itself. It would be better if the fish was tired. It reduces the flips when it is placed on the mat. When putting the fish on the net try find deeper sinking. This will allow them to move without touching to rocks and branches in shallow margins. 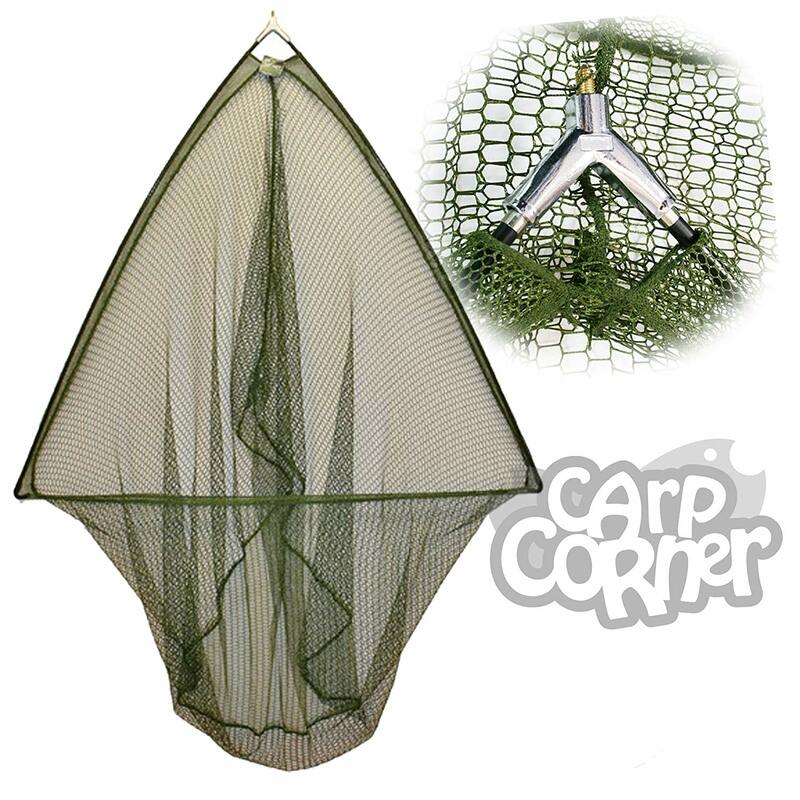 Remove the net from the handle and roll up the net to replace the fish with the unhooking mat or carp cradle. Turning the rode like this is much safer and more manageable. Put away any jewellery, watches or, rings when handling the fish. They may lift up the scales or injure the fish. When you remove the hook, make sure that it is well removed, so as not to kneel and so the fish cannot be hooked again when it hits on the mat. Be sure to move the rod even so that the tips of the rods are delicate and I have seen many tramples on when a fish has been caught. Pay attention to the fish scales when handling fish because they are very delicate. Having a wet towel close by is very useful. Because placing the wet towel over the eyes of the fish tend to calm them when they shake. If they flap and shake, hold them firmly with your hands, avoid to lay on them as the clothes would remove their natural protective cover from their body. It’s better t do not carry the carp for long distances just in hands because they may fall and be seriously damaged. If possible, use a weight sling with zippered sides so that the fish cannot slip out of the sling. Do not keep the fish out of the water longer than necessary. Treat wounds and bathe the fish before taking pictures and weighing the fish. Do not lift the fish up too high. Keep them close to the ground as much as possible. Ask your friends to help you, if possible, so that you can take care of the fish, and your partners would be able to prepare the weighing scales or wet the mat or sling while you are unhooking the fish. Let the fish have some rest in wet weight sling before its leaving to big water. When the fish is ready it will swim at its own will. Be kind to the fish and treat it with care, even today the smallest fish one day coud become a world record. Imagine that you’ve got a nice mirror or any other carp in the landing net. So you need a definite time to be organized before managing them on the coast. Sometimes people rush to get the fish out of the water before the camera, the scales and the other bank handling equipment being set up. Truly to say extra five minutes to wait is no problem, especially if it was a hard fight. It’s not bad to give the captured one a bit of time to become calm and recover. The first thing is recommended to do is to put the chest waders on. They always you must be taken when you are in the water. If you’re wearing a wristwatch remove it because the watch, especially metal one can scratch the bottom of the fish. It’s normal, when you’re on holiday and you don’t need to know the time. ground, so you really must be sure that the fish never touches directly onto the wood. If you are going to scale on the ground, make sure that the weighing device is also firm. Make sure your scales are fixed firmly on the tripod. The swim scale should be on the tripod before you remove the fish from the net. It’s not the best idea to be messing around looking for the scales when the fish is flapping on the mat. Match them on zero directly on the tripod. If a tripod is used on the platform here is a little tip. The bottom of the legs should be just pushed into the grooves between the wooden planks to make the stand solid obviously. If you avoid doing that the tripod may skid around. It’s important because a platform it’s harder than the ground, so you really must be sure that the fish never touches directly onto the wood. 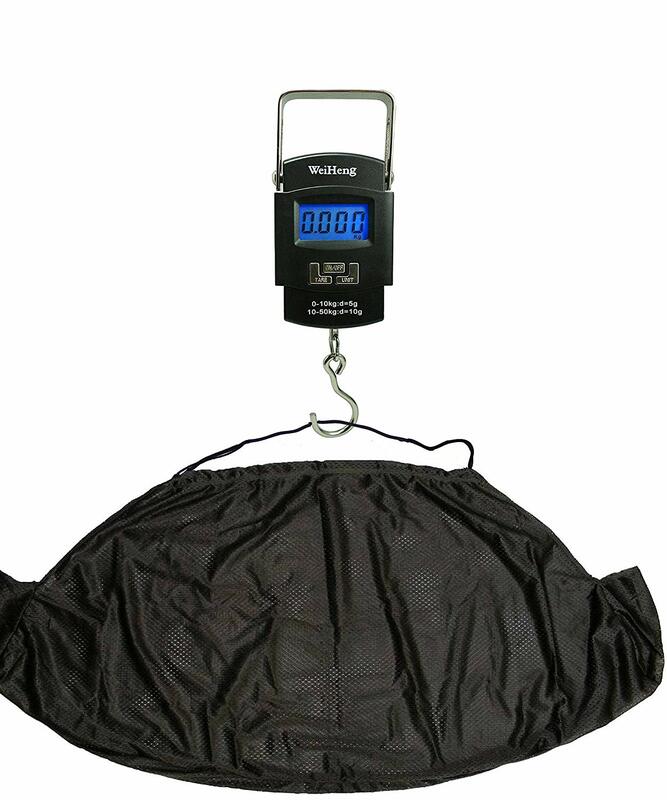 If you are going to scale on the ground, make sure that the weighing device is also firm. Now you are ready to take the giant from the net. Caution, the fish must be always in the cradle or unhooking mat when it’s out of the water. You have already filled a bucket of water nearby. Be careful, especially in summer, the water should not be too hot. Some people try to be so well prepared that they fill the bucket up to early beforehand. Within a day or even during couples of days under the sun you’ve got the buckets with almost boiling water. Never pour it over a fish. Fill the bucket just before you’re going to use. Obviously, pour a whole bucket into the cradle. Then fill it up again to be sure you always have water ready. The main rule is that the fish has got to be kept wet all the time. After the preparations are done you can be back the fish. Remembering about carp treating you should strictly use barbless hooks only. Being barbless the hook comes out very easily and does not make critical holes in carp’s mouth and in landing net as well. Another important tip is to take the rod out of the way. It means that you do not trip over the line or hooking yourself. If the hook won’t easily come out don’t battle with it in the water because you can damage the fish. It’s highly recommended to cut a quick link or link clip system to remove the hook. You also can manage with the hook a bit later leaving it in the fish’s mouth. Then deal with the hook when the fish’s on mat or cradle. It’s much easier to do there than in the net. To remove the fish from the water just turn the net a couple of times just to close the top. Then take strong enough weigh sling which is much better for lifting the carpets out of the water. Never lift the fish out of water in the landing net, especially if the fish is a rather big one. It can cause the fish to be bent round so the fins can come through the mesh and be damaged. Put the sling into the water and guide the fish in the landing net to the sling. Then zip up both ends of a sling. Check the fish position not to bend the fins. In case the fish is too big it’s better when two people one on each end of sling lift it. If you alone just lift it in the middle. While removing the hook, be careful not to hit the sling on platform or the ground. Make sure it’s at least a few inches out from the platform. Lift the sling up let a bit of water to drain out. Then you can go directly to the scale and do the weighting process. Of course, you can correct the weight later deducting the sling and the landing net. If the hook is still in the fish we carefully put it down into the cradle or mat. This time take the hook out to avoid problems. Then have a look at the fish to check the mouth, the belly area, fit and scales. After finishing your photo session and satisfaction of all the ambitions, please come back to the fish again. It’s a high time to think about treatment. First of all, organize a good bath for the fish-star to refresh a distress it after camera lights by a new bucket of water. Then drain some water for you to see the body clearly and for the fish feel comfortable. After that you should thoroughly examine the whole body, paying special attention to the fins, scales, gills and mouth. Make sure that the gills are going and the fish is clearly breathin. It’s very important especially in summer when oxygen levels can be a little bit lower. As soon as you see even the smallest wound, cut or hole, immediately start treatment. To realize this serious procedure in the right way you should always have carp care kit with your gear. Normally it consists of special antiseptic or antibacterial liquids, some cotton buds and a small towel. In case of detecting an injury, dry this place very gently with the towel first. Then apply some medical serum on the hole or wound by cotton bud or just by your fingers. Wait some seconds and the fish will be ready to be free and back to the water. Before using the active ingredients read the instructions very carefully. 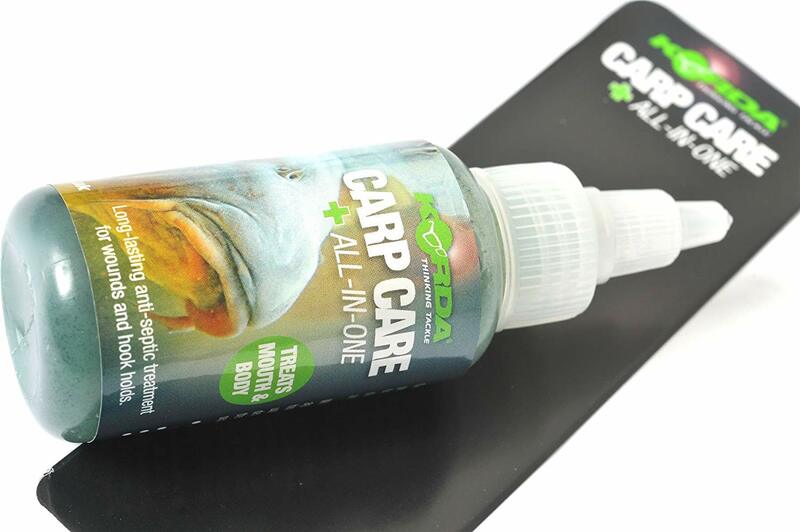 The matter is that some of them are universal for the whole body including mouth like Korda All-In-One Carp Care Body + Mouth Liquid, but some of them are applied separately. In this case, you should have two types of them. When the therapy is over your patient is ready to go on its life in native water. Never take the landing net out from under them on the bank do it only when the fish is in the water. In this case, the landing net just slides out easily. Not many people are all aware that the mucus on the carp is such an important part of the fish, its true barrier against infections. So you can scrape that off if you dry unhooking mat or pulling a net out under on the bank. Carefully put the cradle or sling with fish into the water and enjoy the fish can breathe freely. You could make the photo of this unforgettable picture. The natural conditions will continue the further recovering. Who knows, maybe you will meet your beauty in the future again. What do the anglers say about carp care? This is a great way to show newcomers and not only how to deal with the fish they catch. Following like that a fish would be ok for hours. It’s the best holding way and so safe for the carp. There is a huge range of fish carp care products on the market, so we decided to take some of your time and draw your attention to the best and most useful carp and other species treatment kits and items for you to obtain exactly right kit which meets all your expectations. The information about required equipment like landing nets, unhooking mats or carp cradles, buckets, weight slings, medical liquids to prevent infections and recover any injuries or holes was collected to show what role each of them plays when you are looking after caught fish on the bank. The experienced experts in angling tried to explain exactly why they are so integral to your angling success. True anglers care for the local environment and most of all the fish they catch. Be the angler of XXI century. When you carefully treat the fish while you are fishing and then realising the trophies, it means you take care of future generations.